We know that you are hungry for new Madonna ballads. 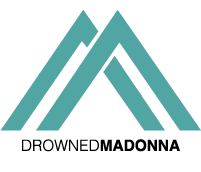 That’s why we at DrownedMadonna.com are glad to disclose another track recorded by Madonna for her upcoming album. It’s called Love You From Inside Out, or just Inside Out. Inside Out is an amazing electronic ballad with acoustic breaks. It is a slow dub step, to be more accurate. And the chorus is in a guitar. In Inside Out, Madonna is like trying to soften a tough guy and asking him to love her. Madonna is actually asking a man to let her love him from inside out. Show me your scars and the dark corners of your mind. Show me yours, and I’ll show you mine. And you…. would you show your dark corners to Madonna? Would you let her love you from inside out? There is not a final setlist yet, but Inside Out deserves to be included on Madonna upcoming album! We remind you that the other two tracks that we previously revealed are Wash All Over Me and Joan of Arc. In the mean time, Madonna confirmed Joan of Arc on Instagram.